Responsive Classroom has two strategies for teaching Routines and Procedures that changed. My. Life. Guided Discovery is used to introduce a material, an area of the classroom, or an activity to students. It's focused and purposeful, yet it still allows some open-ended discovery. Interactive Modeling is used to teach a very specific behavior, procedure, or routine, it is not open-ended. So, before you decide which technique to use, you have to decide if there is a specific way you want the routine or procedure done, or if there are multiple acceptable ways it can be done. Bathroom procedures; I have one specific routine... so I use Interactive Modeling. Using crayons; I allow multiple (appropriate) ways to use... so I use Guided Discovery. 1. Introduction of a material, area of classroom, or activity (naming). 2. Generate ideas and model exploratory work (teacher models exploration, a couple of students model exploration). 4. Children share explorations and observations. 5. Cleanup and care of materials. Here's a video of Guided Discovery in action! 1. 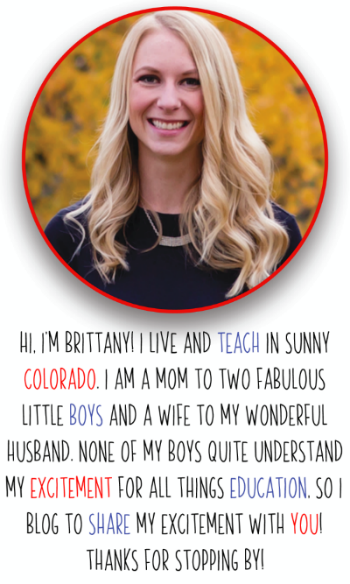 Teacher names the desired expectations for a routine or procedure. 2. Teacher models the desired expectations. 3. Teacher asks students to notice and explain specific elements of the routine or procedure. 4. Teacher chooses a few students to practice the routine/procedure. 5. Teacher again asks students to notice and explain specific elements of the routine or procedure. 6. All students practice routine/procedure. 7. Teacher reinforces desired behaviors that are observed. 8. Teacher continues to reinforce, and redirects and reminds as necessary. Here's a video of Interactive Modeling in action! While these strategies are used a lot in the beginning of the year, I find opportunities to use them all year! 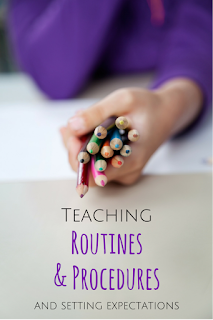 I introduce new routines and procedures at many different times throughout the year, and sometimes we have to refresh our understandings of routines/procedures that we've practiced before. Give these strategies a try! It might seem like overkill if you haven't done it before, but once you do it, you will not regret it. These strategies give kids such a firm understanding of routines and procedures, you will be amazed.